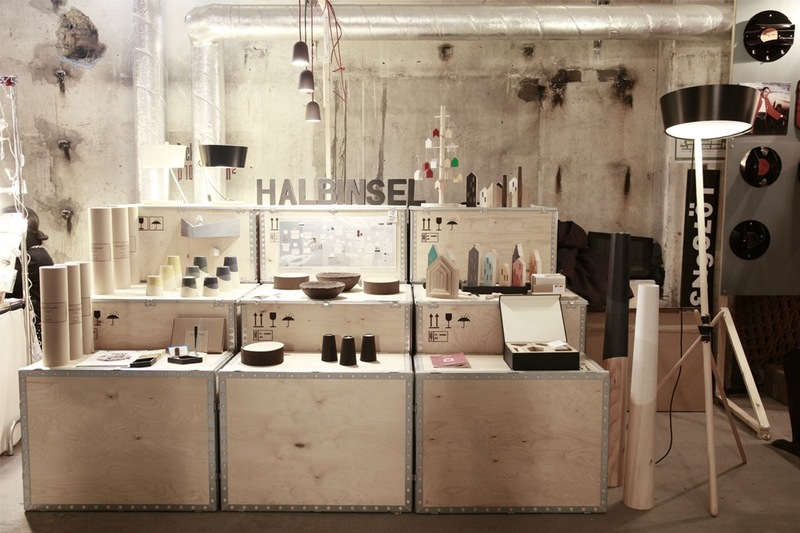 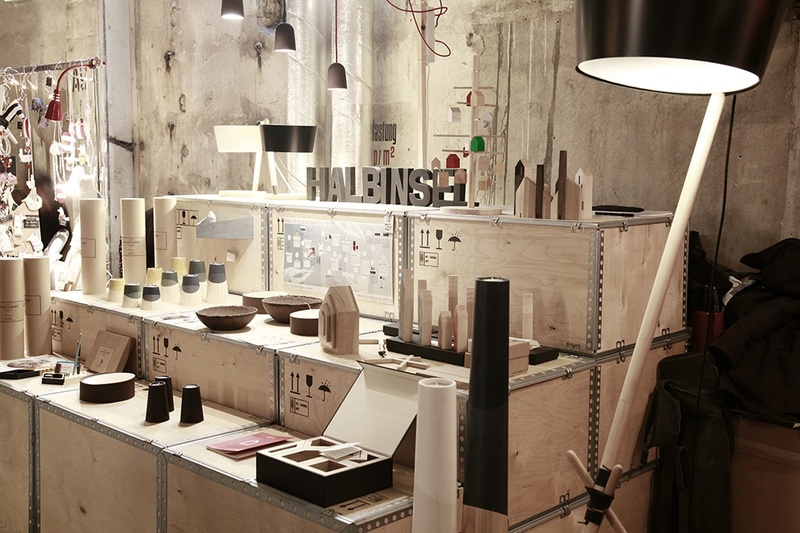 An exhibition and stand fair for the furniture agency Halbinsel was developed for a designer's market in the German capital. 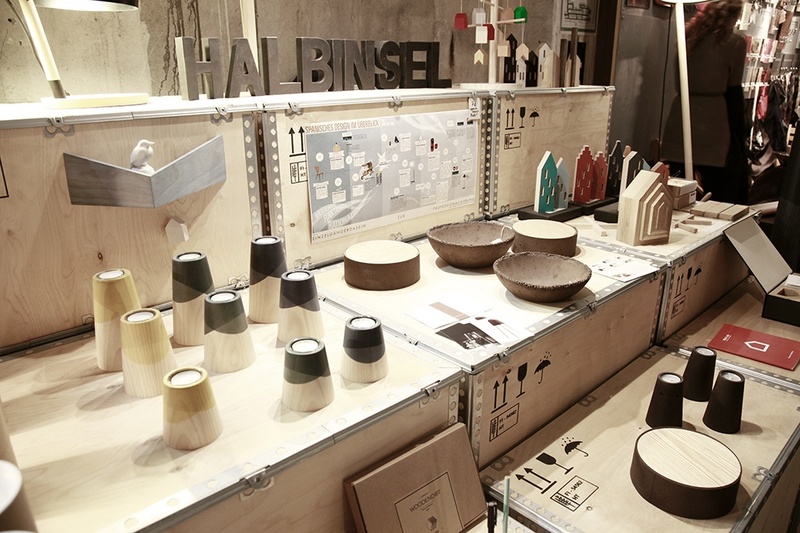 The brief was to achieve a temporary architecture, with enough surfaces for display and exhibition, fast, easy and inexpensive to build. 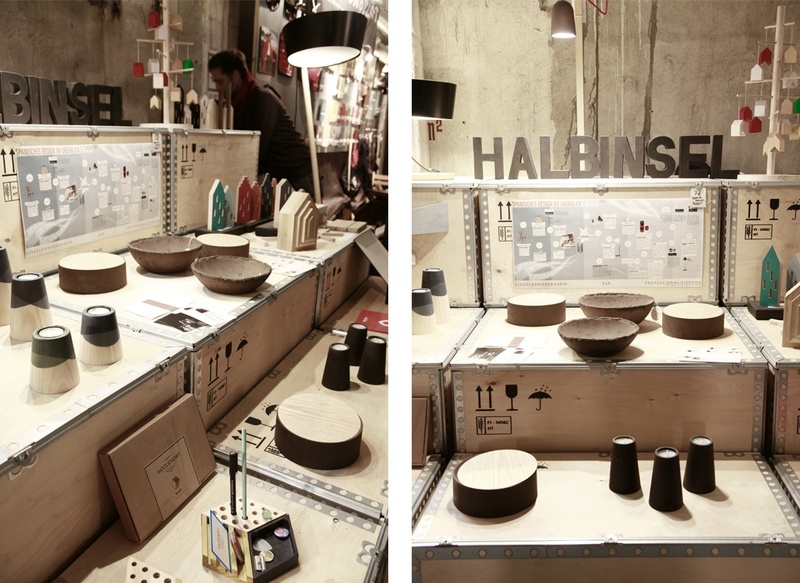 After hours of search in eBay, we discovered an advertisement selling wooden transport boxes. 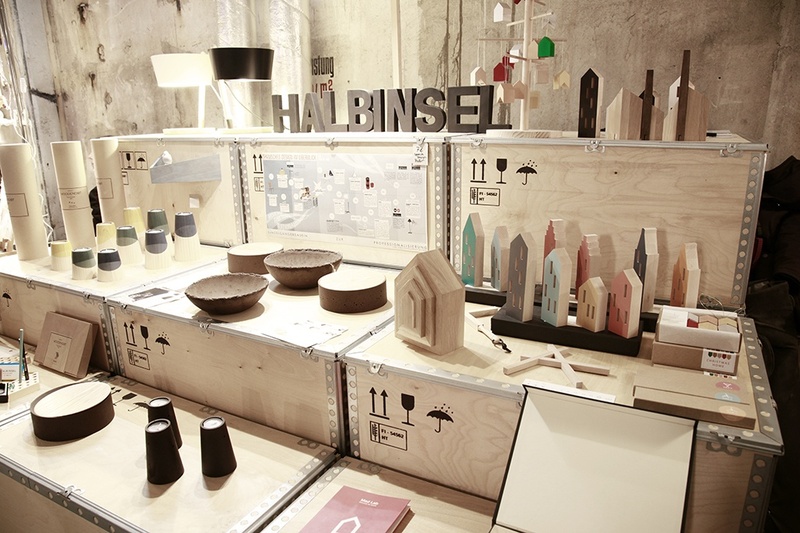 Together with the Halbinsel team, we managed to rent, rather than buy, around 15 wood transport boxes for the days of the fair and to build a simple, yet charming stand to exhibit various Spanish furniture brands. 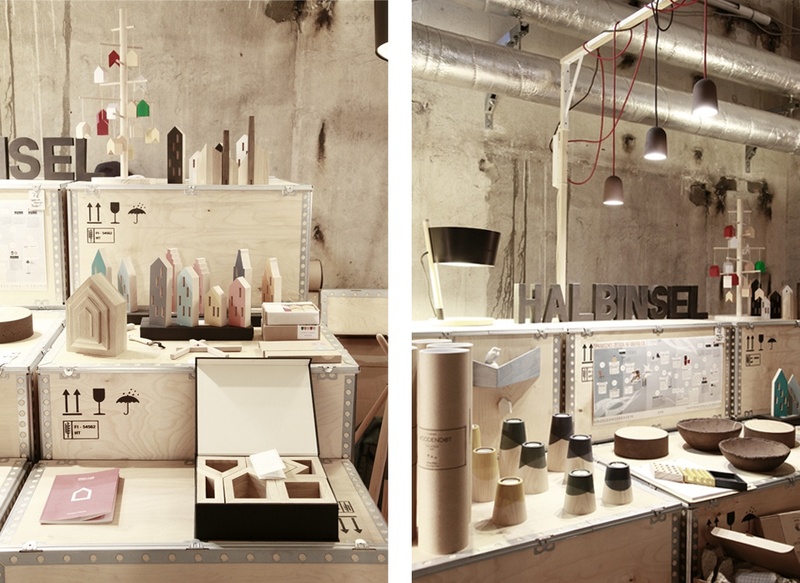 Aside from the surfaces for product display, a support for the pendant lamps was created with a simple wood angle, wrapped with the textile cables of the lamps. 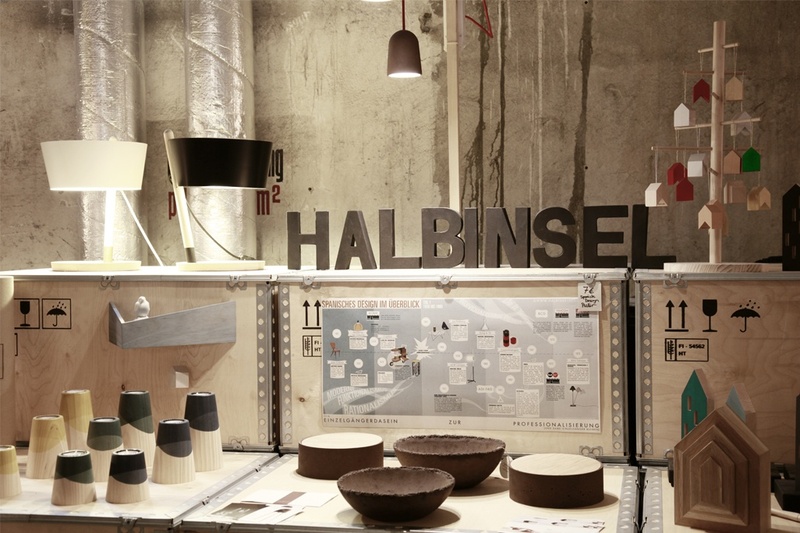 Simple cardboard letters represented the company name on the stand, together with the different furniture and decoration items. 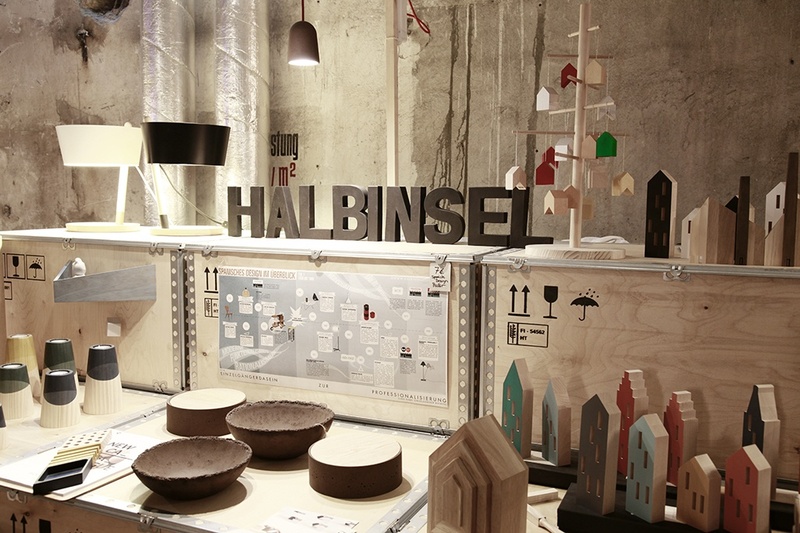 The Halbinsel stand is an example of a fast and effective but beautiful and inexpensive temporary architecture.